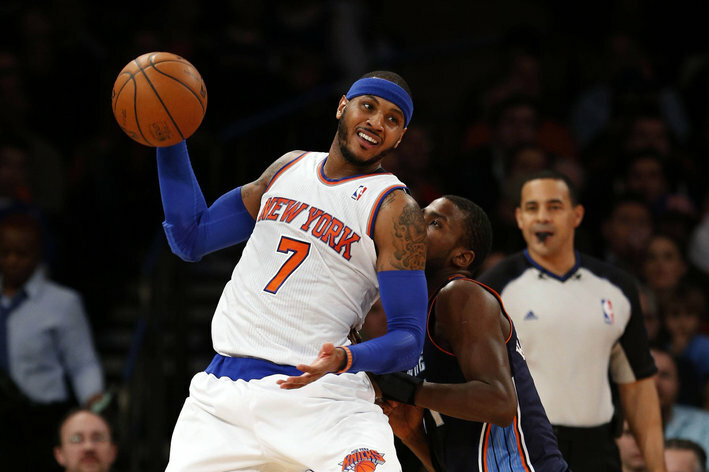 Carmelo Anthony scored a career-high and franchise-record 62 points, most at the current Madison Square Garden, and the New York Knicks beat the Charlotte Bobcats125-96 on Friday night to stop a five-game losing streak. Anthony made 23 of 35 shots, one when he leapt from halfcourt to beat the halftime buzzer, and even added 13 rebounds in the NBA’s highest-scoring performance this season. Read full article after the jumpAnthony had 56 after three quarters, bettering Kevin Durant’s previous season high of 54, and stayed in for the first few minutes of the fourth to break Bernard King’s Knicks record of 60 points and Kobe Bryant’s arena record of 61, set five years ago. It was easily the highlight of the season for Anthony, on pace to miss the playoffs for the first time in his career and facing frequent questions about his future with the team as he heads into free agency this summer. This entry was posted in GETPlugged and tagged Carmelo Anthony, Carmelo Anthony Drops 62 points, Charlotte Bobcats, Madison Square Garden, NBA, NY Knicks. Bookmark the permalink.